You can configure your Parsey account to send a notification text to either you, or to your new lead. This can be used to drastically increase your conversion rate. 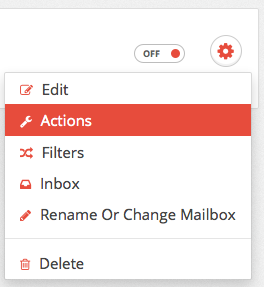 To get started, click the gear icon on your Parser and select Actions from the drop down. Select Send A Text Message from the three options that the window lists. This is where you will decide if the notification text will go to your or if it will go to the new lead. Select Use an extracted field if you are going to have it send to the lead and Use a custom phone number to enter a phone number of your choosing. Enter a custom phone number that the texts will be sent to. 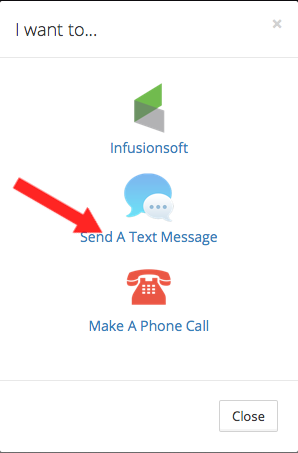 Use the Merge Fields at the bottom of the text box to customize your message to your liking. This particular message is one that is not going to the new lead, but to the owner of the account. Any extraction can be used as a merge field.